That’s how Alphonse Daudet defined hate, and we’ve seen that with Fox haters. But once again, it’s not just Fox for whom they have contempt; this examination of that phenomenon is guest-blogged by Janet Hawkins. I responded to a comment from Mike C on Friday about Bill O’Reilly using MSNBC opinion hosts as a comparison to hard news so I won't rehash that here. Instead I want to make a point about the newshounds’ virtually perfect record of treating Fox hosts, contributors, and even guests as if they are hard news. I don't remember ever seeing them (not to say they haven’t) focus on Bill Hemmer, Jon Scott, or Shep Smith the way they target Fox & Friends, O’Reilly, Hannity, Greta van Susteren, and Neil Cavuto, along with any conservative women who are contributors or guests. Which bring us to that last group. The top targets there tend to be guest hosts for Bill O’Reilly, Laurie Dhue, Juan Williams, Father Jonathan Morris, Peter Johnson, and Ann Coulter. Read a few columns by Priscilla (and a blast from the past, Julie Driscoll) you'll know what her vicious obsession with Father Jonathan Morris and Peter Johnson is all about: religion. Priscilla screams her column in a manner and style that would make Dracula confronted with a Crucifix seem calm and blasé. If you haven't ventured into her very own little special circle of hell over at newshounds just remember you've been forewarned. 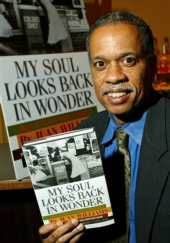 We need look no further than Johnny's well documented exposés of Juan Williams's treatment at the sharp claws and blood soaked muzzles at newshounds to know that it is an affront to them that Juan Williams to them is not a commentator but a black commentator who works for Fox, and what’s more dares to be even handed and cordial—even friendly!—to O’Reilly. Mr WIlliams has wandered away from their article of faith: that blacks and their opinions belong to them and they better not forget it and wander off the plantation. Their columns and comment sections are so saturated with contempt that it becomes a virulent form of racism. So what is about Ann Coulter and Laurie Dhue, besides the "religion" thing, that merits them extra special attention from the hounds? It goes deeper than any simple political differences. There are all those thorns in their paws: Coulter and Dhue are attractive, well educated, high achievers with successful careers. They’ve met every goal that feminism has for women except in a few little details such as: pro life, open about their faith, advocates for that inconvenient part of the first amendment: "freedom of religion". And they reach a wide audience. They're this generation's Phyllis Schlafly. The bonus for Ann Coulter, to their minds, is that they have their own very special hook with her as exemplified by the inordinate time and effort they spend on her sexual orientation and is-she/yes-she-is transgendered. That brings us to Megyn Kelly. She shares some traits in common with Coulter and Dhue such as: attractive, intelligent, superbly educated, a high achiever, with a successful career that reaches a large audience. I suspect she may have a conservative bent on some matters but I don't know or have a clue what her personal opinion is about abortion or other hot button issues. I've seen her report on such issues with a focus on the facts stating A advocates this and B counters with that. She and her guests will tackle just about any issue, and for a daytime show hers seems to provide opportunities for that approach; case in point, Kelly's Court. But she is, as is Williams, evenhanded. So what triggers that special attention towards her? Did I mention earlier that she is attractive and is considered beautiful by many if not most? But there's still more. 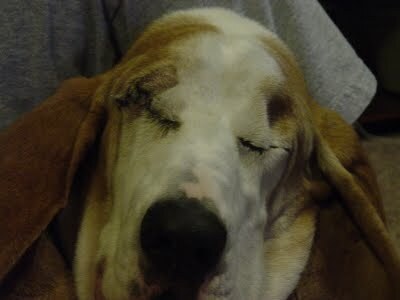 It goes beyond what we normally see coming from the Hounds. It is an attitude of deep down snarling, howling with rage, tear-her-apart pack-attack. What is the predominant theme in their attacks against Kelly? No surprise at all if you have any familiarity with the Hounds. She is a brainless bimbo and has slept and S..... and F..... her way into every step up the corporate ladder and especially Fox. They really get down and dirty there with their total acceptance of Brit Hume as her lover as indisputable fact. The hounds use nasty sexual smears against many conservative women but it has approached a venomous crescendo with Megyn Kelly. Mind you it's not reserved exclusively for actual participants with a direct relationship with Fox. It goes way back and is best exemplified by this hook to justify a story about then Secretary of State Condoleeza Rice. 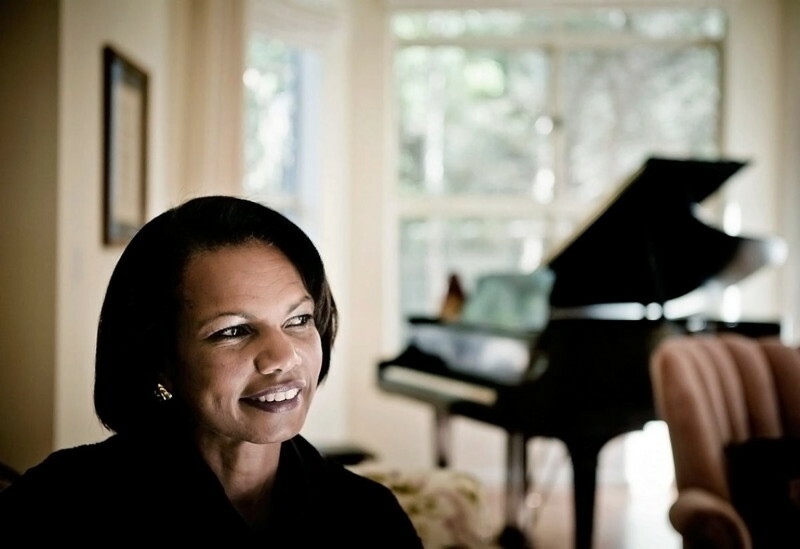 You know, the Condoleezza Rice who was the nation's first female National Security Adviser, and while only the second female Secretary of State and the second black Secretary of State, was the first both black and female Secretary of State. That alone probably would have put her well on their radar. But there's so much more than that to raise their hackles. Perhaps Condi Rice is so viciously and singularly attacked by them because she too is indisputably attractive and living proof that a woman can reach the pinnacles of success according to feminism. Like Juan Williams she is black and her historic appointment to such power, authority, and responsibility that extends worldwide was by a Republican President, the hated GWB. She has a record of academic achievement matched by few others. Horror of horrors, she has openly discussed the importance of religion and prayer throughout her life. Cardinal sins all, though she has never been touched by any hint of personal scandal or public impropriety. What are a pack of curs, or rather jackals, to do? There hasn't been a hint of misconduct surrounding her personal and professional life. Therefore, for the greater good of course, they help manufacture and circulate a lie/story so salacious, ridiculous, and unfounded The National Enquirer would be ashamed to touch it. Then they concoct a hook to drag Fox into the story. Their purpose is not to publish lies about Secretary Rice and the President of the United States but to expose just another Fox trick. The hook to connect it to FOX: "Don't expect to find it on FOX News any time soon." Developing Story - Bush Marriage In Trouble Over Affair With Condi? A White House source, speaking on background, vehemently denied to WMR that there are marital problems between President Bush and First Lady Laura Bush over a reported extramarital affair between Mr. Bush and Secretary of State Condoleezza Rice. However, two mainstream media sources have confirmed that their sources also have reported an ongoing affair between Mr. Bush and Rice. Voila! Relying on a ‘tip’ from a vile, utterly unreliable source, the hounds manufactured one more hum-drum everyday exposé of Fox’s lack of ethics by deliberately burying stories that are of great national concern. Just as they did with Sandy Berger being exonerated, Colonel North being a convicted traitor, and all those Karl Rove indictments. I would have just loved to see the comments but this story is in the archives and they are not available. Well, that opus definitely falls into two categories: I must be crazy to spend all that time on that, and damn but that was fun. I want to thank Blackfon. He has so often piqued my curiosity with his little vignettes about them that I have increasingly perused their headlines and read the complete stories and comments on the more outrageous ones. I'm sure that was what clicked last night, after finding the video of Secretary Rice on BookTV talking about her memoir Extraordinary Ordinary People, and spurred me into action.